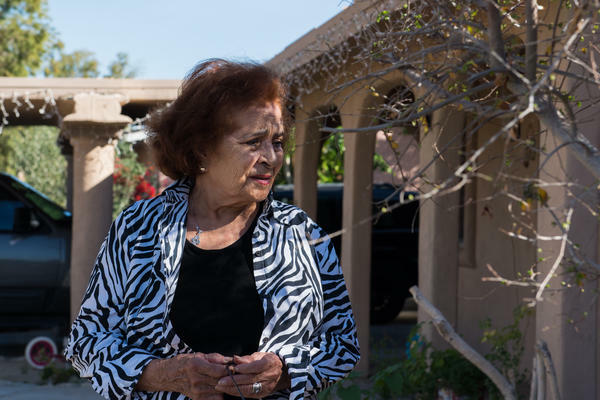 Ramona Morales, 79, had to pay about $6,000 in legal bills on top of a fine because one of her tenants kept chickens in the backyard of a rental house. Some Southern California cities are prosecuting code violators and slapping homeowners with gigantic legal bills they can't afford to pay. 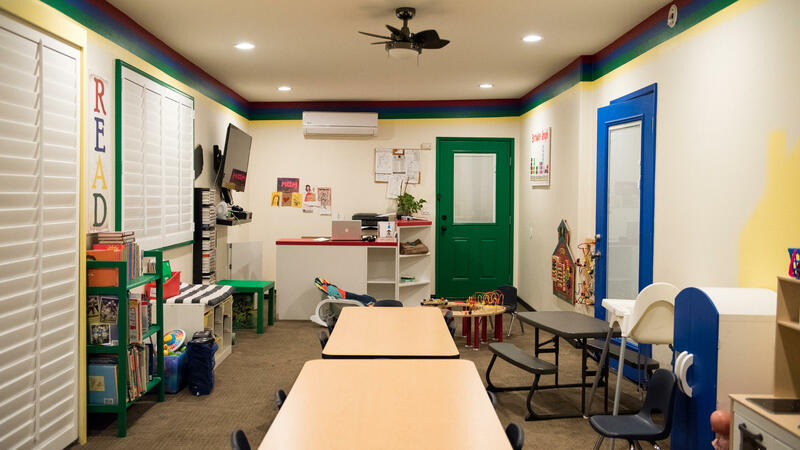 Garcia failed to get a permit for an addition on his house, a small room in the back his wife needed to expand her home-based child care business. 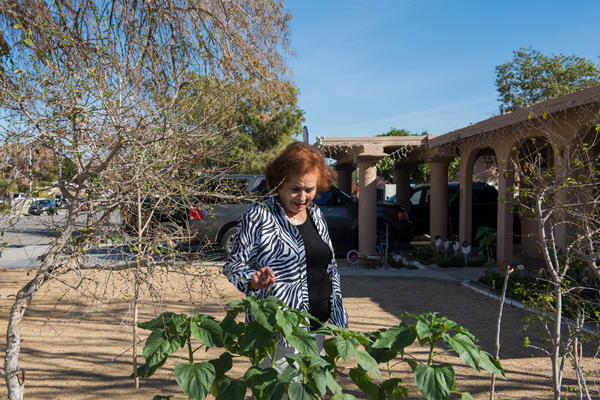 Ramona Morales' renters kept chickens, which annoyed some neighbors and was against Indio's municipal code on keeping farm animals in a residential area. Morales finally got the tenants to get rid of all of the chickens and went to city court to clear it all up. But there she was baffled to find out she was being criminally prosecuted for her tenant's annoying chickens. Morales is working with the nonprofit Institute for Justice, which filed a lawsuit Tuesday. The suit alleges that it's a violation of the U.S. and California constitutions for Silver & Wright and these cities to have a financial stake in cost recovery in the nuisance cases they bring. 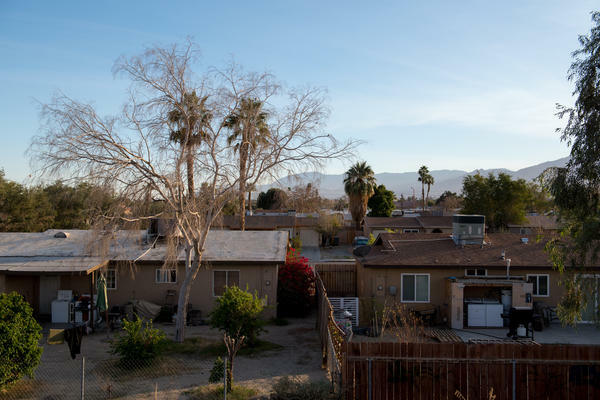 In Indio, Calif., some residents have been charged large amounts of money and are facing liens on their homes for minor infractions. State law allows cities to recover all costs for nuisance crimes, including attorney fees, if the city has the appropriate ordinances. As a divorced single mom, Morales worked two, even three, jobs most of her adult life to provide for her family: cleaning houses, selling Avon, working in a convenience store, and, for years before that, picking fruit and vegetables in the searing sun across the Coachella Valley's farm fields. 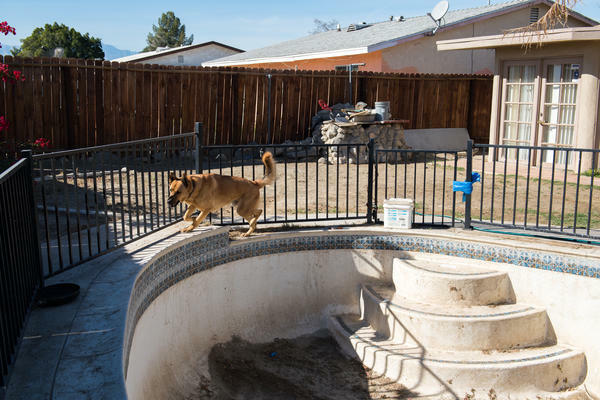 "Since the cost-recovery ordinance was passed, it gives us more options to do that administratively at a lower cost than actually petitioning the court for restitution," says Jason Anderson, the Indio Police Department's code enforcement supervisor. "It saves the public money." Cesar Garcia was hit with a $31,000 legal bill after he converted his back patio into a room without a permit. "I know that I did wrong in not asking for the permit. But I think to lose my house — it's too much." In most American towns, a loud dog or a room addition without the proper permits would get you a potential citation and fine. Indio and other Southern California cities are now prosecuting code violators criminally and slapping homeowners with bills they can't afford to pay. The Institute for Justice is filing a lawsuit alleging that it's a violation of the U.S. and California constitutions for Silver and Wright and these cities to have a financial "cost recovery" stake in the nuisance cases they bring. The lawsuit says that as of November 2017, Silver & Wright has recovered more than $122,000 in fees in the cities of Indio and Coachella. The steep fine stems from a change in city codes. In most American towns, a loud dog or a room addition without the proper permits would get you a potential citation and fine. Indio and other Southern California cities are now prosecuting code violators criminally and slapping homeowners like Morales with bills they can't afford to pay. City administrators defend their aggressive approach, saying they're simply recovering the public cost of getting people to clean up their acts. But a nonprofit legal group filed suit Tuesday, challenging the practice. They say it is a for-profit policy that signals a dangerous trend of criminally prosecuting people and then billing them thousands of dollars for what are otherwise minor code violations. That's what happened to Morales. An inspector with the Indio Police Department sent Morales a warning citation: Provide some type of front yard landscaping, get rid of the chickens and obtain a business license for her rental property, required by a newly enacted law. She wasn't sure how to force her tenants to comply but warned them to stop with the chickens. "I told him (tenant) lots of times," Morales says. "He say, 'Well the chickens are gone.' And I understand that he removed the roosters because they make a lot of noise early in the morning, but he doesn't remove the hens." A second warning citation arrived: "Remove chickens/roosters from the property." Morales finally got the tenants to get rid of all the chickens and she went to city court to clear it all up. But there, she was baffled to learn she was being criminally prosecuted for her tenant's annoying chickens. "And the court they told me if I know about the roosters. I say 'yes.' And they said, 'How do you plead, guilty or not guilty?' And I have to say 'guilty' because if I don't say guilty, I have to pay for the lawyers. And I said 'guilty' and I paid $225." Morales thought that $225 fine for all the violations was the end of the chicken, landscaping and rental license saga. "We walk away thinking everything is good. But wasn't like that, no." On top of the $225 fine, she soon got legal bills on behalf of Indio from the private law firm of Silver & Wright totaling $5,659.02. The order said "the city reasonably incurred" this money to "abate the nuisance conditions" and was entitled to reimbursement in "defending the City's cost recovery rights." "That much money for some rooster? I think it's way too much. It's unfair," Morales says. "I don't know what to do because I don't have that much money." As a divorced, single mom Morales worked two, sometimes three, jobs most of her adult life to provide for her family: cleaning houses, selling Avon, working in a convenience store. She saved enough to buy some property but isn't wealthy. "I never had that much money with me," she says. "I just try to have enough for my payments, and the rest I spend it in take care of my houses and pay taxes and insurance and everything else." She borrowed money from her son who is in the U.S. Marine Corps to get out of the chicken trap. 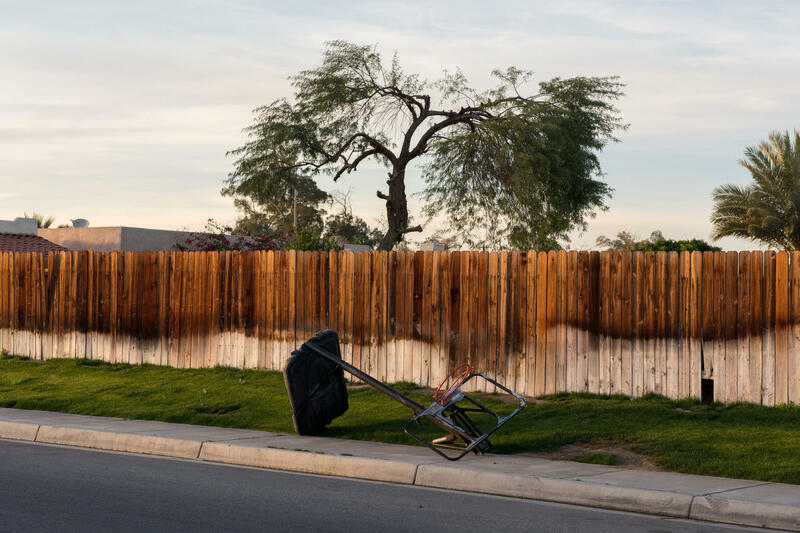 In California, state law allows cities to recover all costs for nuisance crimes, including attorney fees, if the city has the appropriate ordinances. Attorneys at Silver & Wright law firm have helped about a dozen California cities rewrite their municipal codes — including Indio and neighboring Coachella — to expand the kind of property violations that constitute a public nuisance and to pursue cost recovery. "Since the cost-recovery ordinance was passed, it gives us more options to do that administratively at a lower cost than actually petitioning the court for restitution," says Jason Anderson, the Indio Police Department's code enforcement supervisor. "It saves the public money." He says the city spent "an exorbitant amount of time and cost" bringing Morales' property into compliance, adding she was given ample time and warnings to fix the problems prior to her summons for criminal prosecution. The city is entitled to get that money back, Anderson says, "to make the public whole." In neighboring Coachella, Silver & Wright helped rewrite the codes there, too. Just ask Cesar Garcia. His fine is $31,000. 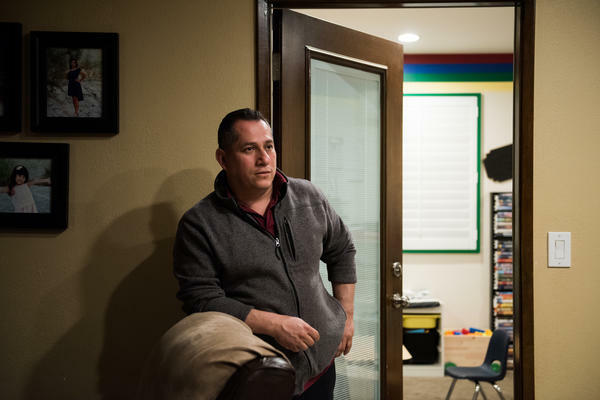 Garcia failed to get a permit for an addition on his house, a small room in the back that his wife needed to expand her home-based child care business. He is handy and didn't think it would be a huge deal to not get a permit. Garcia says he had heard that a lot of people don't pull permits for additions. He now deeply regrets he didn't do that and that he ignored at least 10 warning citations. Cesar commutes about three hours round trip every day to his job as a grocery store manager. He says he just doesn't have $31,000 to spare and is now worried he could lose everything he has worked for. "The letter that I receive, they say if I don't pay the $31,000, they're going to put a lien on my house," Garcia says. "I know that I did wrong in not asking for the permit. But I think to lose my house — it's too much." Silver & Wright's co-founder Curtis Wright and officials in Coachella say they're not trying to take away anyone's home. Wright maintains it is rare to take the criminal route for nuisance cases. But he adds, sometimes fines and the civil process just don't work to get people to clean up their messes. Cesar Garcia's unlicensed addition, he says, "was not a safe habitable living space in compliance with the California Building Standards Code. Each day of maintaining those violations is also a new violation for each instance." I asked him whether he thought the "cost recover" legal bills to Garcia and Morales are proportionate to the crimes. "No, I don't think that they are proportionate," he says. "But you have to understand that if the defendant is going to be uncooperative after they have been given notices and administrative opportunity to comply — and then we get into the criminal case and they're still not being cooperative and they're going to drag things out and drive up the public's cost — then the public is entitled to get that money back. It's not intended to be punitive at all." But many who've been prosecuted criminally for annoyance violations say they were totally unaware and never warned that they faced legal fees on top of local fines. "I had never run into this practice of criminally prosecuting homeowners for municipal code violations," says Shaun Sullivan, Garcia's attorney. He alleges that Silver & Wright and Coachella, which hired the firm, are trying to run up legal fees under the guise of code enforcement. He says their methods are deceitful and end up shafting working people across the Coachella Valley. "They wait until it's difficult to withdraw your (guilty) plea and say, 'Oh, too late. By the way, you owe us money.' It's absolutely an unethical practice," Sullivan says. "They don't tell Cesar before he pleads guilty that, in fact, you're going to be paying for everything we've done up this point. And they certainly don't tell it when they initially file criminal charges. And with every new court appearance, (Garcia's) bill is getting bigger." The cost recovery controversy here echoes the other ways the criminal justice system has greatly expanded the fees charged to criminal defendants, many of them poor, across the nation. Check out NPR's award-winning investigation Guilty And Charged. 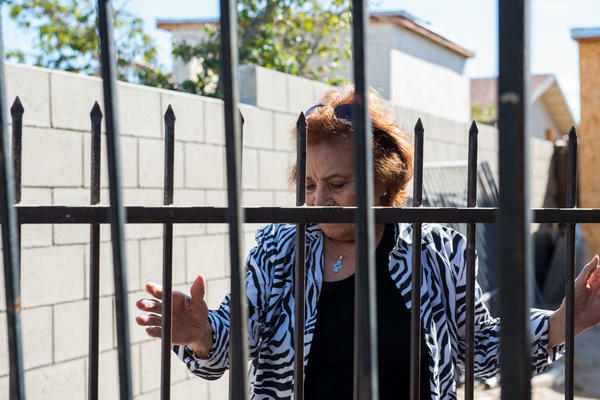 Stories of some of the excessive nuisance fines in the Coachella Valley were first reported by the Palm Springs Desert Sun. The city of Coachella now says it's putting the brakes on new cases with Silver & Wright until it can review what is happening, says Jacob Alvarez, assistant to Coachella's city manager. "We are hearing that there are issues. We have hit pause. We just want to make sure there is some equity and sensitivity for our residents," Alvarez says. Officials in Indio, however, see no problem, saying the law firm is merely recovering the cost of prosecuting violators and helping clean up the city. Silver & Wright works on nuisance issues with more than 40 cities and towns across California. "Whether it's a dangerous nuisance or just an aesthetic nuisance or a blight nuisance, the public is the victim of these, so we're there trying to help correct the issue for the public," attorney Wright says. Morales, the 79-year-old with the annoying chickens, is fighting back. She is working with the nonprofit Institute for Justice, which filed a lawsuit Tuesday. The suit alleges that it's a violation of the U.S. and California constitutions for Silver & Wright and these cities to have a financial stake in cost recovery in the nuisance cases they bring. Redfern calls it policing for-profit and charges that Silver & Wright is, essentially, asking cities to define just about any violation of their property codes as a public nuisance, "which means that things as little as faded street numbers could be treated as a public nuisance. And, if it's a nuisance, then they can abate it by prosecuting you criminally and then they can recover those costs." The lawsuit, filed in California Superior Court in Riverside County, says that as of November 2017, Silver & Wright has recovered more than $122,000 in fees in the cities of Indio and Coachella. Redfern hopes that those in other California cities who've been forced to pay huge legal fees for nuisance crimes sign on to his lawsuit and that it is eventually granted statewide class action status. "We'd love to hear from other people who are affected by this," he says. "The more we hear from people, the more we can learn about what's going on. That only makes the case stronger."